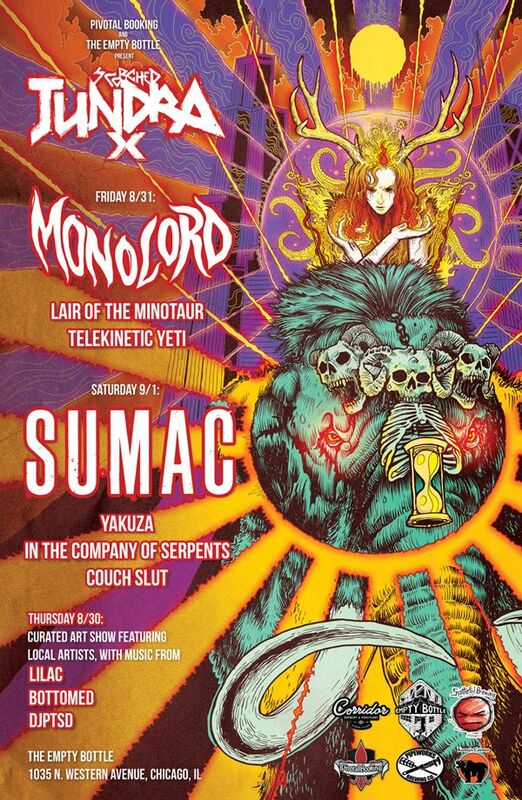 Lair of the Minotaur will be playing Scorched Tundra Fest 2018 in Chicago on Friday August 31st during Labor Day weekend to celebrate the release of a new EP. The Scorched Tundra Fest performance will be an exclusive date for 2018. And is also LOTM’s first show in 5 years, featuring the classic “road dog” line up of Steven Rathbone (Guitar/Vocals), Donald James Barraca (Bass) and Chris Wozniak (Drums). After a long hiatus sharpening their axes, the Gods have called them back to battle!!! Tickets go on sale Monday May 21 at 10am CST. $20. Get them HERE. ← First 3 Albums Available on Bandcamp!